Stocks sank on Monday, January 28, 2019 after Caterpillar Inc. issued a profit warning and Nvidia Corp. slashed its revenue forecast for the fourth quarter. If you are holding these stocks, what will be your best action to take? Hold tight, exit or partially exit? 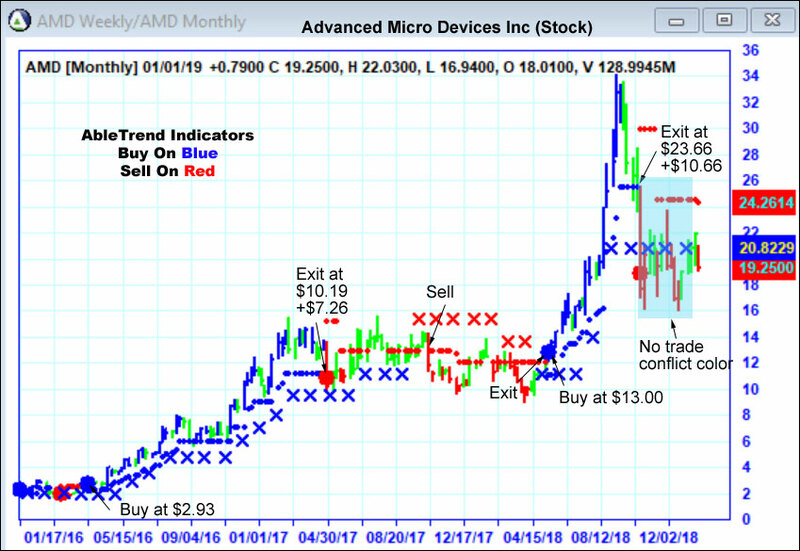 Following are the charts with award-winning trade signals for AMD and CAT. 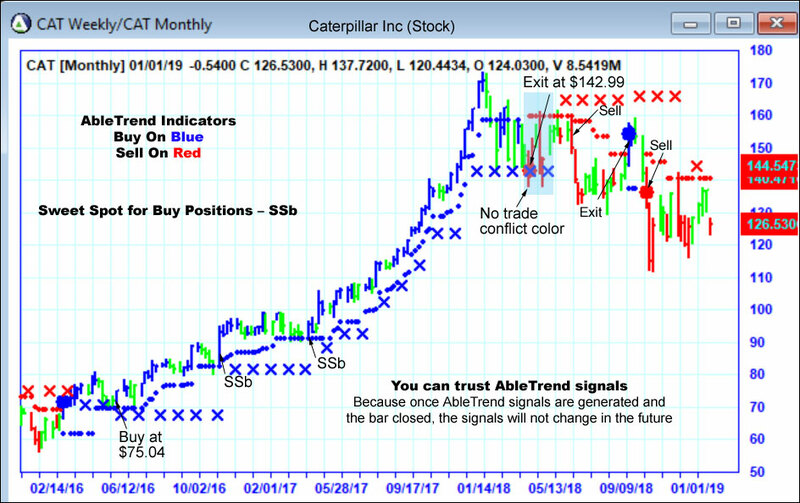 The AbleTrend Guidance chart combines 2 time frames into 1 chart and helps to filter out false signals with our No-Trade Zones. Small red dots are the resistance levels for weekly chart and red X are the resistance levels for monthly chart; Small blue dots are the support levels for weekly chart and blue X are the support levels for monthly chart. If the colors for weekly chart and monthly chart disagree with each other, that’s No-Trade Zone. Learn more in AbleTrend webinars or give a trial with hands-holding one-on-one consultant today.